Finnish handset giant Nokia is refocusing its services strategy to make better use of third parties as a way of cutting costs. This week, the world’s biggest handset manufacturer said it would tweak its Services unit to create a more simplified user experience across its services platform, spearheaded by the Ovi offering. To achieve this goal, Nokia will focus investments on fewer initiatives and increase the use of common enablers across certain services. 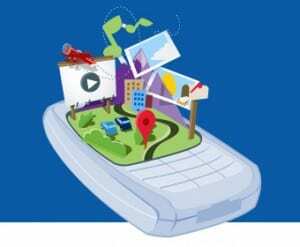 As a result, all Nokia’s mobile games will now be available through the Ovi Store, in addition to existing channels like the N-Gage platform. Nokia will also make use of a greater variety of third party partners, such as other image and social networking sites, to boost the image capture and sharing features on its devices. And the streamlining of its Services unit in this way will allow the firm to realise greater cost efficiencies, such as the cutting of 450 employees from its internal IT and Compatibility & Industry Collaboration unit. These cuts are part of previously announced plans to reduce costs. “The planned changes are aimed at improving and simplifying the user experience of Nokia services, increasing opportunities for third party developers and other partners to create compelling services, and accelerating the development of a common platform for Nokia’s different service offerings,” said Niklas Savander, executive VP of services at Nokia.